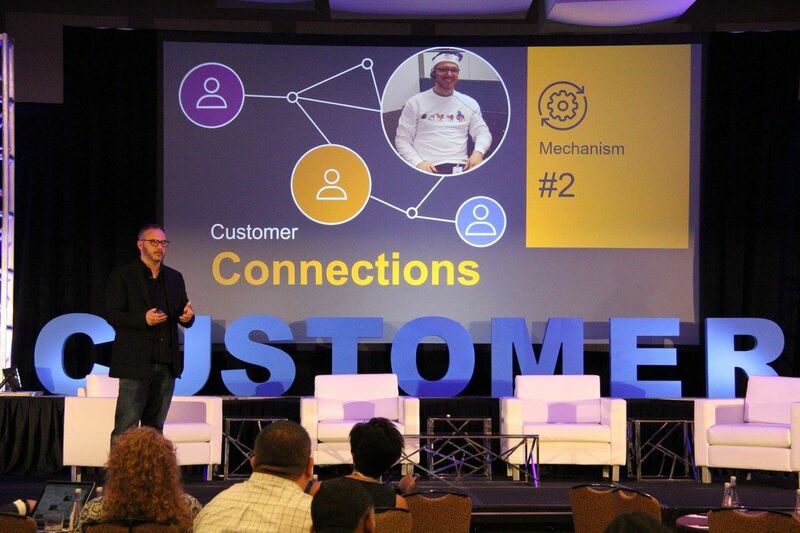 Recently, TSV teamed up with Execs In The Know at The Customer Response Summit in Chicago. 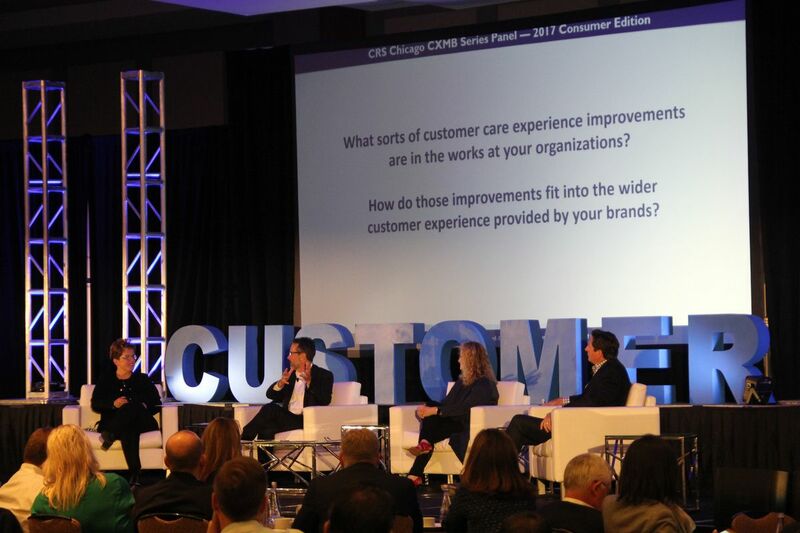 This event brings together customer experience leaders from top brands around the country for three days of discussion, learning and collaboration. 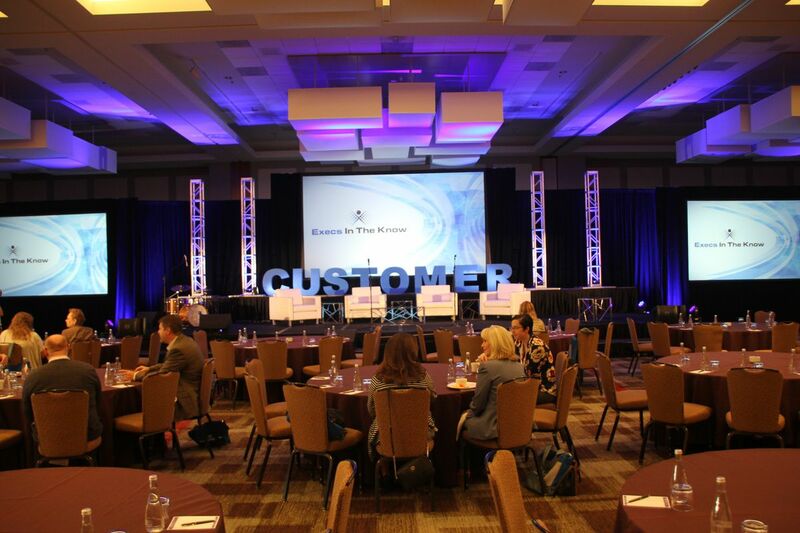 This year, the summit was held at the Hyatt Regency McCormick Place Hotel in Chicago. This is the third consecutive year that TSV has produced this event. 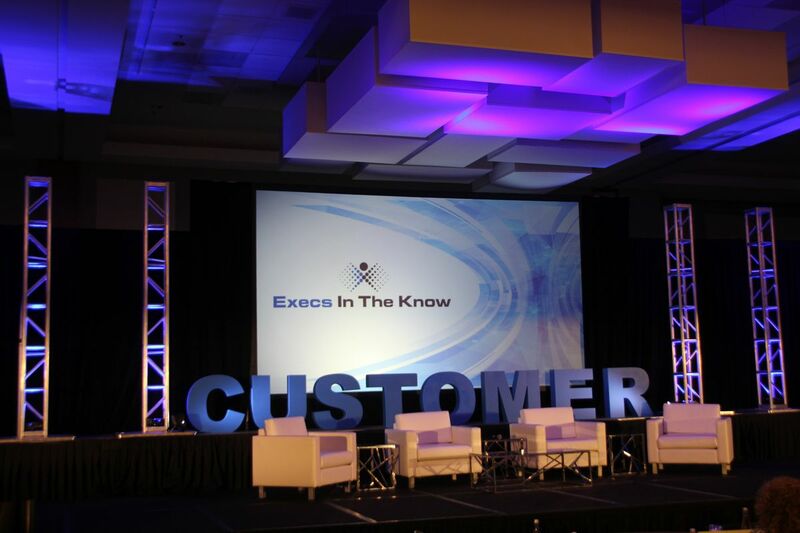 Originally, Execs In The Know wanted to raise the bar on the scenic design of the event and that’s where we came in. We created a 2-level stage, with a large screen creating a backdrop. This center screen is used for branding, titles and large splash images to communicate key points. In addition, a screen is placed on either side of the stage to support videos and presentations by speakers and presenters. We also provided a full scale JBL sound system to support a diverse event that includes live music, video and speaking. We rounded out our service with colorful and engaging lighting that really helped make the event feel special. 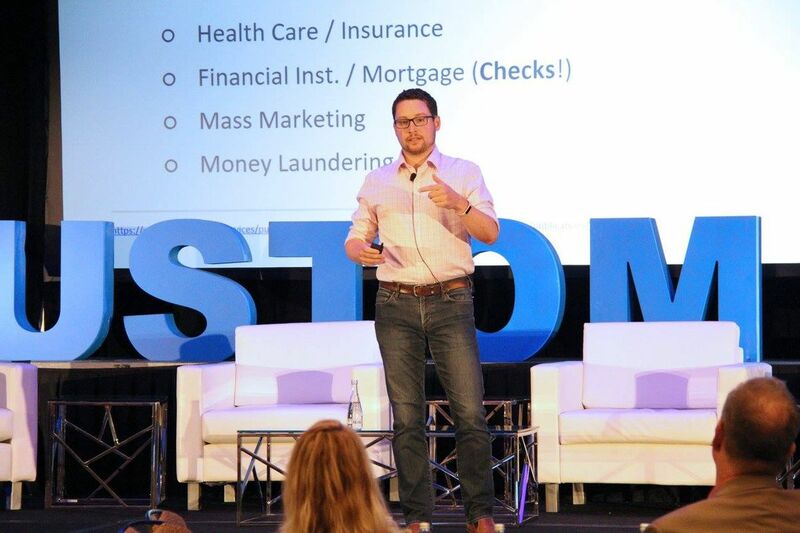 We can’t wait to work with Execs In The Know again next year! -Alyssa Pitura, Director of Marketing and Brand Experience at Execs In The Know.